Note that information may only be available in French. 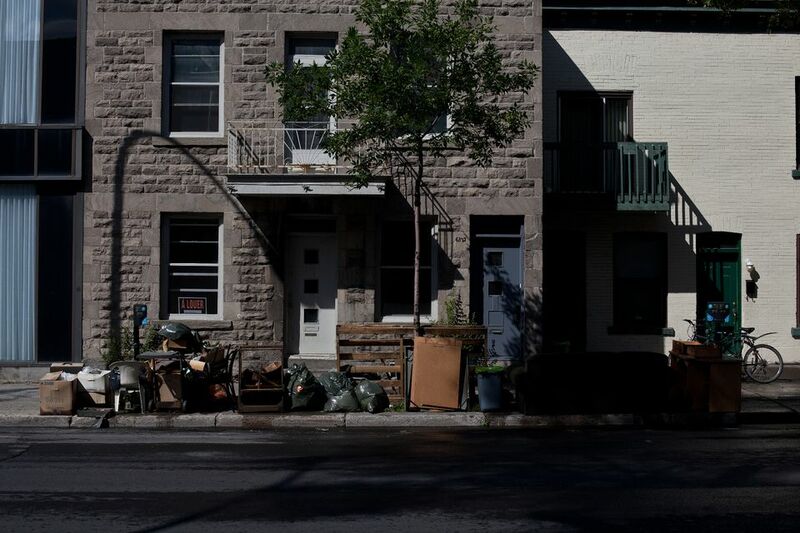 If that poses a language barrier, you can also retrieve Montreal garbage collection information pertinent to your area by calling (514) 872-2237 (514-87-ACCES). Twice a year, in the spring and fall, Montreal's 19 boroughs propose special waste management provisions to effectively dispose of dead leaves, broken branches, garden clippings, and weeds. Note that leftover food, table scraps, dirt, rocks, tree trunks, branches larger than 5 centimeters (2 inches) in diameter and animal litter do NOT count as green waste. Of particular interest to Montreal residents is not only when green waste pickups are scheduled in their respective neighborhoods, but how said waste is supposed to be packaged for disposal. What About Dead Leaves in the Fall? Another note: Weeds, hedge clippings, and small branches bundled with rope (maximum length 1 metre (3.28 feet), maximum diameter 5 centimeters (2 inches) can also be added to the same containers as dead leaves except for in Outremont and St. Léonard, whose administrations ask residents and business owners to separate leaves from other forms of green waste (weeds, hedge clippings, garden clippings, branches, etc.) as both boroughs pick these up on different days.